RSP Quadralean Thermogenic is a dietary supplement for weight management. Formulated for both men and women, it has been designed to function as a metabolism, energy, focus and thermogenic aid. It is a product manufactured by RSP Nutrition. Weight Loss Blend – Conjugated Linoleic Acid (CLA) Powder (INNOBIO) 500 mg, Acetyl-L Carnitine Hydrochloride 500 mg. 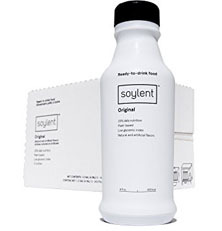 The L-Carnitine in this blend is believed to help metabolize fat and break them down. Energy Blend – Citrus Aurantium (bitter orange) 225 mg, Caffeine 200 mg. Caffeine is believed to help metabolism and has been proven to help with mental focus. It is also thought to help release body fat stores. Citrus aurantium increases the effects of caffeine. Neuro Blend – Choline Bitartrate 300 mg, Alpha GPC 50% (Alpha-Glyceryl Phosphoryl Choline) 50 mg. The Alpha GPC in this blend is thought to boost focus, mood and improve concentration. Thermogenesis Blend – Yohimbe Extract (Bark) (Standardized 8% Yohimbe) 40 mg, Cayenne Pepper Fruit Extract (Capsimax) 25 mg. 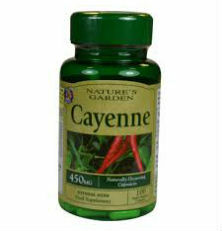 Some research has shown that cayenne pepper can aid in thermogenesis and fat oxidation while at the same time showing the capacity to assist with muscle development. 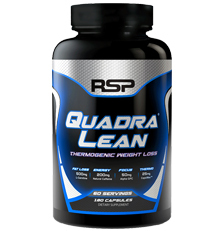 None of the ingredients in RSP Quadralean Thermogenic have ever been scientifically proven effective for weight loss. For optimal fat loss results, this supplement should be taken with a healthy low-calorie diet and regular exercise. 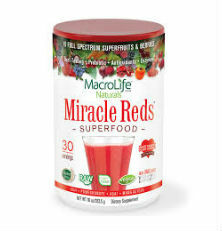 The directions are to take 1 serving (3 capsules) first thing in the morning and then 1 serving 4 – 6 hours later. Users should not exceed more than 6 capsules in a 24-hour period and should avoid taking a dose 6 hours before bed if they are sensitive to caffeine or other stimulants. In terms of side effects, you should be aware that there is a notable risk that you may experience stimulant-related side effects (e.g. insomnia, jitters, restlessness, rapid heart rate, etc.) when taking this over-the-counter diet pill. The reason is due to the fact that it contains both caffeine and citrus aurantium, which contains the natural stimulant synephrine. The FDA has warned that taking caffeine and synephrine together increases the risk of cardiovascular effects such as high blood pressure, fainting, stroke and heart attack. While these serious side effects may not be a cause of concern for everyone, it is still important for you to talk with your doctor before taking RSP Quadralean Thermogenic and whether 3G BURN may be a better alternative.